Worcester Bosch is one of the most reliable boiler manufacturers in the world. Like all systems, failures are inevitable. Nevertheless, not all these failures call for repair. So how do you decide it is time to call your boiler maintenance engineer or technician? Here are six ways to know when a Worcester Bosch boiler repair is necessary. Boiler leakages are often due to a broken internal part(s). Leakages cause pooling or moisture around the boiler. The issue requires immediate attention as it can quickly become disastrous and it puts the property at risk. It is advisable to ascertain the source of the leak as you wait for the technician. It will help in fast-tracking troubleshooting and repair. All boilers produce some noises, which you quickly get used to. Any other unusual sounds such as clunking, knocking, whirring, sloshing and gurgling are only common with damaged boilers. The noises can be caused by several factors such as a blocked system, a broken heat exchanger, a damaged fan or a faulty pump. Immediate Worcester Bosch boiler repair should be done to prevent further damage. Rusting of metal pipes is common. However, a notable rusting level calls for attention. Visible rust on any external parts of the boiler indicates a need for repair or replacement. Rusting at the water outlet or inlet should be acted upon immediately. Rust can destroy the boiler and make the water unsafe for use. External corrosion almost always implies extensive internal corrosion. Worcester Bosch boilers have a set electrical power consumption rating. 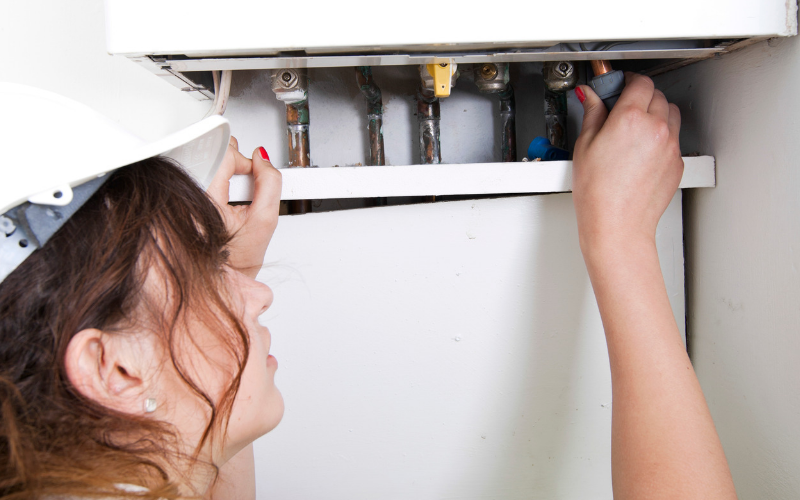 Therefore, if the electrical circuit-breaker trips every time the boiler is switched on, then you should call your boiler maintenance engineer. It is a sign that the boiler is drawing more current than it should under normal conditions. This is always the result of a failed or malfunctioned thermostat. One distinctive feature of Worcester Bosch boilers is the usage of error codes to relay faults. Each error code indicates a specific problem. One can use the codes to identify the errors that require boiler maintenance services.